It was razzmatazz in Owerri as decision makers in the showbiz industry stormed the city for FashionMeets Comedy. The night which was a conversion of fashion into comedy was exotically an art splash of Obi Ekeocha of Skyebliz fashion fever Africa, the publishers of Skyebliz magazine with MC Ash of Laffactory entertainment incorporation. The event which held at the Sam Mbakwe Hall, Imo Concorde Hotel kicked off with a red carpet reception and an art exhibition of local and international celebrated designers and runway models. According to one of the designers and brainchild of the event, MC Ash, an ace comedian who disclosed that Fashion Meets Comedy is an innovative concept designed to give comedy and fashion shows a new spin through a unique fusion of comedy and fashion display on stage. “To promote comedy and fashion industry in the south eastern region of the country, while providing the audience with quality entertainment. And this maiden event in Owerri, is also expected to cut across other 35 states of the country. As the case maybe, the tour will be in strategic alliance with Skyebliz Africa, the publishers of Skyblize magazine; it is an outfit based in the east with vision of promoting showbiz, fashion and tourist centers through media awareness,” the maverick comedian reveals. Also speaking at the event was Kelvin of the popular TV reality show, Big Brother Amplifier Africa who was amazed with the brand terrific presentations encouraged the initiators, “this is the first of its kind, seeing fashion exhibition on the runway with comedy; it's a nice combination that should be brought to limelight. It should be maintained and encouraged,” he continued. Speaking on the same vein, Okey Bakassi reaffirmed his commitment, “I impressed that someone I groomed could be creative of designing such an innovative brand like “Fashion Meets Comedy.” For an Imo born artiste to introduce such a brand in such environment like this state, it means he is out to explore. In attendance were top 50 local and international models and designers, which were: Benlivic, Blue corners dress door, Not-B-1-Eye, Conchy, Heeva and so many others. 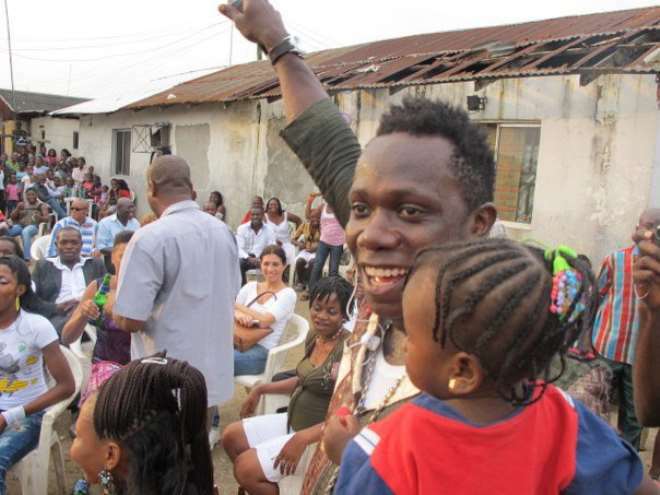 The audiences were satisfied with lots of performances from: MC Ash, Duncan Mighty, Okey Bakassi, Ominimini, Uche Ogbuagu, SimKad and host of other comedians.